Georgia Blue Veronica (Veronica penduncularis ‘Georgia Blue’) is one of the most rewarding plants to have in the garden. Georgia Blue’s light green foliage turns bronze in the fall/winter then shows off its true beauty when it begins to bloom in early spring with cobalt-blue flowers. 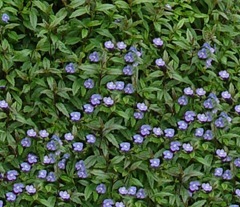 Whether Georgia Blue Veronica’s foliage is light green or bronze, it is a nice treat as a border plant or around shrubs. 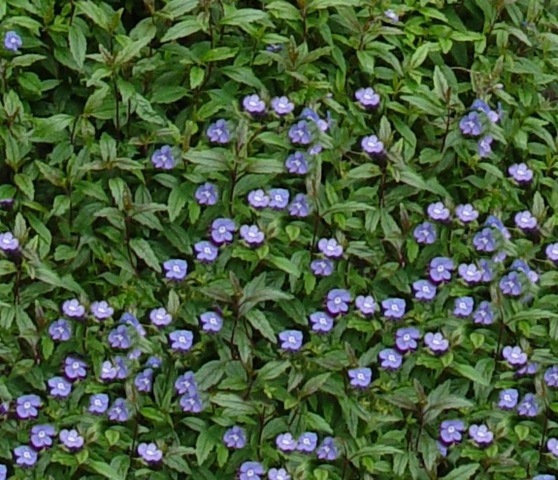 Tips: Georgia Blue Veronica works well around pools and ponds, but is not drought tolerant like Turkish Veronica. This (Veronica GA Blue) is one of my favourite. It does very well in the shade or mostly sun! Blooms profusely early spring through early summer here in SE MO. It also looks nice as a “spiller” in containers. 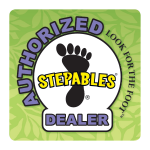 It has proven to be very,very drought tolerant for us. Last summer was very dry here (as well as most places), and it barely knew it! Perennials grow right up through it easily. Very attractive around the hostas.! Georgia Blue Veronica is one of our favorites too. We planted some in a trail bed here in front of out office, and it did great all summer long through the heat and the periodic dry spells when we forgot to water. I am anxious to see how well it over winters.